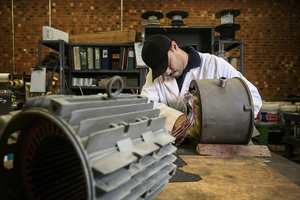 Challenges arise when rewinding a 3-phase AC spindle or servo motor. This is likely due to the assumption that it doesn't usually matter where the winding starts when it comes to slot and coil location. Occasionally, a winder can miss taking a connection; miscount turns; or completely misidentify a specialty connection. Here are a few rules that are useful in getting the motor rewound and working correctly the first time to avoid having the motor reject the winding. 1. Document clearly and legibly the coil layout, lead numbers, and all other data with handmade drawings, digital photos, or both. 2. Get as much information about the machine before starting to help identify pole count, voltage, span, etc. 3. Request an electrical schematic of the motor control. 4. Lift the connection prior to burnout. 5. Tag each lead exactly as it is received with a metal tag before going through the burnout process, even if the numbering process doesn't make sense (this could be due to the maintenance technician having a different numbering system than the OEM). 6. Note the location and the number each lead. 7. Take digital photos of each layer as it is unwound. 8. Note the coil polarity (and watch for flipped coils). 10. Compare the turns and wire size in each layer. 11. Accurately identify the winding extension and its shape. 12. Rule of Thumb: Unwind by hand to avoid guessing at how to rewind. 13. If the motor is not a standard NEMA, it is likely that the winding will not be standard either. 14. 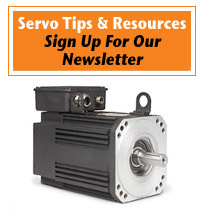 Recognize that all servo motors aren't typical in how they are wound. 15. When winding, duplicate exactly as documented in your notes and photos including the wire size and mean turn length. Heightened awareness and keen observation are keys to avoiding errors with the newer, more complex technology. Identifying the data first increases the success rate for motor rewinding.